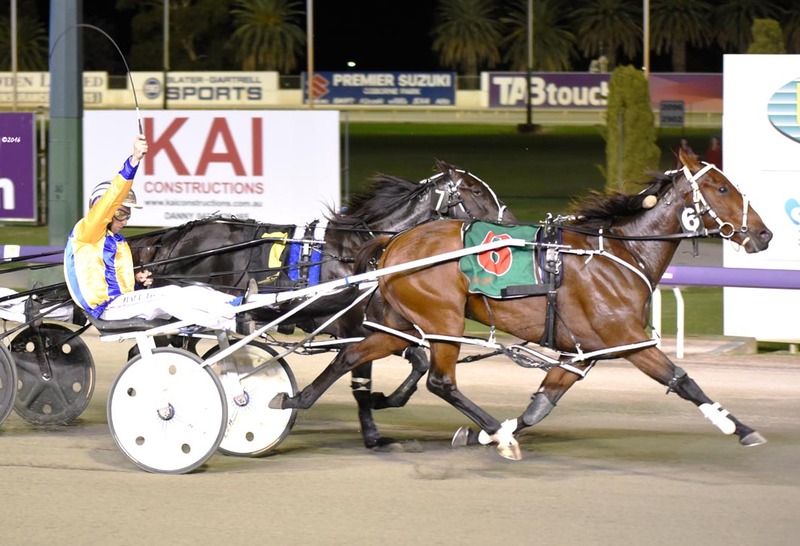 INTER Dominion favourite Chicago Bull is “very doubtful” to contest the Championship. Having previously discussed his concerns about the series, trainer Gary Hall stated he is leaning towards withdrawing Chicago Bull from the Victorian-based event. Along with the busy campaign he has mapped out for the son of Bettors Delight, Hall has sighted the reduced prizemoney as a reason to bypass the Inter Dominion in favour of local majors such as the Western Australia Cup. “Heats of $30,000 going into a $500,000 Final are just not a strong enough drawcard,” Hall said. “I’m more likely to miss the Inter Dominion to have him freshened for the Western Australia Cup and Fremantle Cup a month later which are worth $450,000 and $250,000. Plus we can race in features at home for the same, if not more, stakes than the heats. “The Inter has gone from having $75,000 heats and a $1million Final to being half that. With Chicago Bull crossing the Tasman in preparation for the New Zealand Cup and Free-For-All, Hall will make a decision on the Inter Dominion after the two Kiwi features. The New Zealand Cup is scheduled for November 13, with the Free-For-All on November 16. “He is racing for $800,000 in the New Zealand Cup and then $200,000 in the Free-For-All a few days later,” Hall said. Tabcorp’s Adam Hamilton said Chicago Bull’s exit would have little impact on Inter Dominion betting at this early stage. The six-year-old, which finished second in last season’s Perth Final, is a $5 favourite with TAB Fixed Odds. “There has always been some doubt about Chicago Bull contesting the Inter Dominion,” Hamilton said. “Gary has been open about it all along. “There hasn’t been much money for him. If he comes out, it would only further open up an already even market for the Final. Click here for the TAB Fixed Odds Inter Dominion market. Which budding star will follow family trend?